Nearing the end of July in a normal climate year, veraison is underway in the vineyards of Northern and Central California. 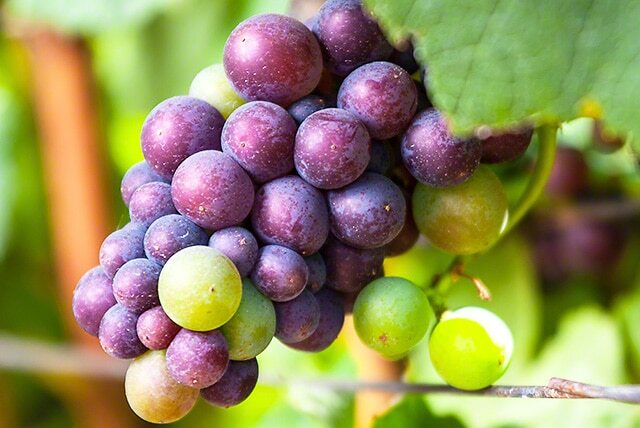 Veraison is a French term and means the onset of ripening. Veraison is an important event in the growing season of a vineyard. Excitement reigns among vineyard growers and managers. Veraison signals the anticipation of harvest in about one month’s time. Our Wine Country Photo of the Day shows a cluster of Pinot Noir grapes in the Russian River Valley. The photo was shot at the Benovia Winery.